I went to Edcamp Detroit last weekend and Erin Klein shared a free app that she has used in her classroom with a lot of success. The app is called Aurasma. The app allows individuals to create and publish their own augmented reality experiences they call "Auras." I'm sure you are thinking the same thing I was thinking when Erin was talking about this app, "Sounds cool, but what does it do?" Students and teachers can make lessons come alive with this platform. It is difficult to explain so I will explain it step by step, then show you what it looks like in action. This past Friday we had a Mother's Day Tea to show our appreciation for the special women in our lives. My students made portraits of their mothers and posted them in our hallway at school. We thought it would be fun for the moms to try to pick out their portraits when they came to visit. This was the perfect opportunity to try this app. After my students finished their portraits, I took a quick 5 second video of each one of them saying a special message to their moms. 1. I opened up the Aurasma app and pressed the plus sign. 3. Next, I pressed the plus sign and chose the photo album option. 4. I then chose the video of one of my students from the camera roll for the overlay. 5. Then, I chose to create an Aura with the video. 6. I then took a picture of the portrait that my student created. 7. Finally, I gave it a name and made it public so other people could see it. I took a quick clip of one of my students using the app to show you what the final product looked like. The parents thought this was amazing. We had some parents with tears in their eyes, watching their little one appear in a video saying happy mother's day and that they love them! This was our first attempt at this app. I have so many other ideas of how to use this app. I have made little stickers with the Aurasma app picture. I plan on placing the stickers on things that we have augmented. I am going to use this for my math and literacy stations. I am going to create videos for the directions for the station so all the students will have to do is scan a card and a video will pop up with the directions. I am also planning on using this for book recommendations. Students will create a video about their favourite book and why they think you should read it. 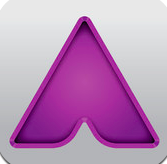 We will use the Aurasma app, so students can scan the book and watch their peers video recommendation! This app has so many possibilities! I am going to let my students brainstorm different ways we can use this app in the classroom this week. I will let you know what they come up with. Love, love, love the use of this app. I've been sitting on it as well as Augment (also free) but had no idea how I would use them with my students. Kristen this is pure magic! Thanks tons for sharing. As you know I LOVE learning and sharing with you. Found u on twitter. Love this Idea. Going to download it now. It's would be wonderful for when parents come in next week for our fantasy creature exhibit. Big big thank you. The teachers and I were so excited about using Aurasma in our first grade classrooms to showcase our students' scrapbooks. Each teacher created a channel and recorded their students (16 in each classroom) reading their best piece of writing. These videos were then made into overlays and added to trigger images all using Aurasma. To our great frustration, when we tested Aurasma out on different iPads and clicked to follow the teachers' channels, only one or two Aurasmas would appear. We tried and retried recording and re-creating auras, we deleted the app and re-installed it starting the process over multiple times, but to no avail! 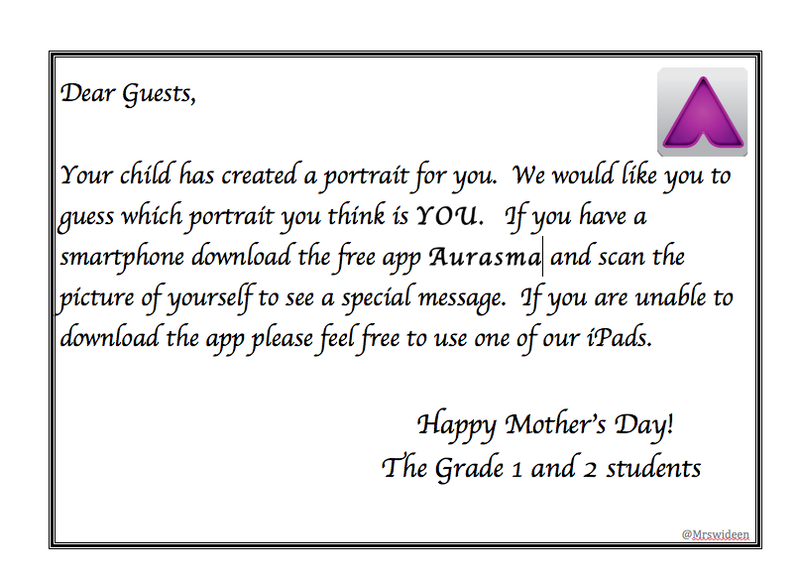 We even reserved a set of iPads and had the teacher log in to Aurasma with their account, but yet again only two auras appeared. The odd thing is that the auras work perfectly on the teacher's iPad, but only her iPad. Do you have any tips or suggestions on what we might be doing wrong? You class looks amazing! Keep up the fantastic work! First off, I LOVE this Blog! Thank you for sharing all your wonderful ideas! I created classroom posters for my kids on how to connect to the wi-fi, how to download work and how to Air print etc. I then created auras for my kids to view. Had exactly the same issue - none of the Student iPads could pick up my public auras! After extensive googling I found the anwer at http://goo.gl/5CoUOb. Auras created on the iPad is stored in the local folder. After opening the Aurasma apps, my kids searched for my account name and 'followed' me. After that, they could access all of my public auras. Hope this helps! Hi mrspereiraclass - we have the exact same issue too. We've made 8 auras yet only two can be viewed through our channel on other iPads. It is so frustrating. Our Grade 1 teachers are so excited to get started with Aurasma but we are battling! I have emailed the Aurasma support team so hopefully we will get an answer soon. Love all the ideas on here! Aurasma is amazing!! Has anyone found any easier ways?